Does the program have anything to send e-mails to clients without switching back and forth between it and an outside e-mail client? TO3000 3D and Projetex 3D include a built-in Mail Sender module, that will allow you to send e-mails to your clients or experts directly from within the program. 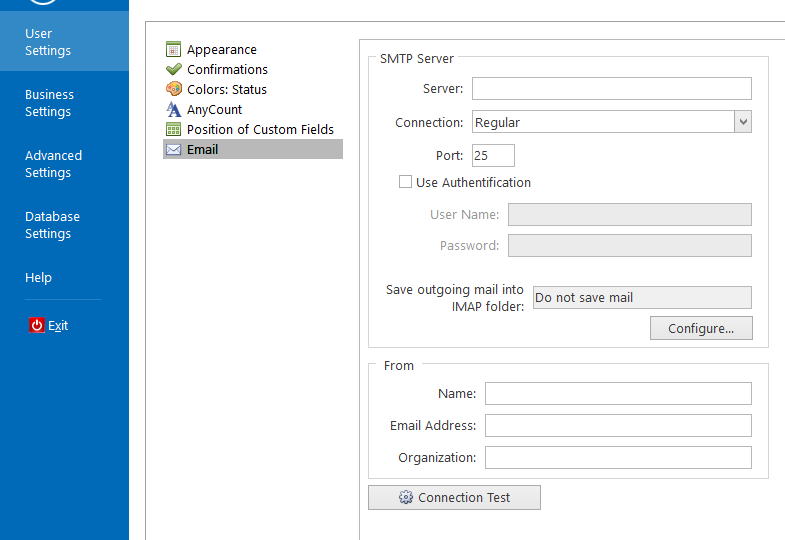 Just connect it to your e-mail account in "User Settings >> Email" and you are good to go.